The Italian firm has developed short of perforated leather gloves that have been designed with protections and sporty style, are suitable for urban use. They are available in four colors at a price of €59.29 (VAT included). AXO, in its eagerness to seek the maximum protection for the rider, has used the technology for the most advanced high competition for the design of its new Pro Race XT. 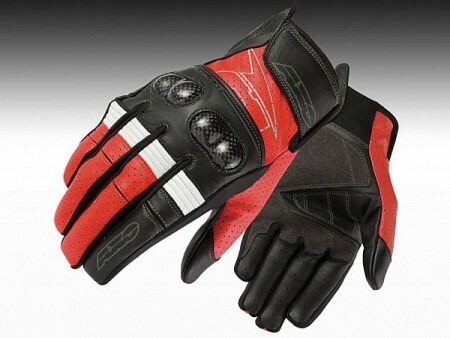 These gloves that despite its sporty style, are suitable for city driving, provide the rider, plus security, great comfort and ventilation. Treviso firm has equipped the Pro XT Race with rigid plastic knuckles, reinforcements in the Palm of the hand and external filling. Proper protections of the conduction in circuit and of the high competition for the safety of the rider on foot. The new Italian brand gloves feature stretch fabric both on the back and the joints of the fingers in order to achieve greater flexibility and the glove fits the pilot hand perfectly. In addition, the Pro Race XT has great ventilation due to multiple holes in the back and fingers, which makes them a great choice for driving during the hot months that lie ahead. The AXO Pro Race XT are available in various colors and sizes ranging from S to XXL. Your price sales is €59.29 (VAT included).